Anthony Crolla's courageous bid to dethrone WBA and WBO lightweight champion Vasyl Lomachenko was ended in four rounds by the Ukrainian pound-for-pound superstar. 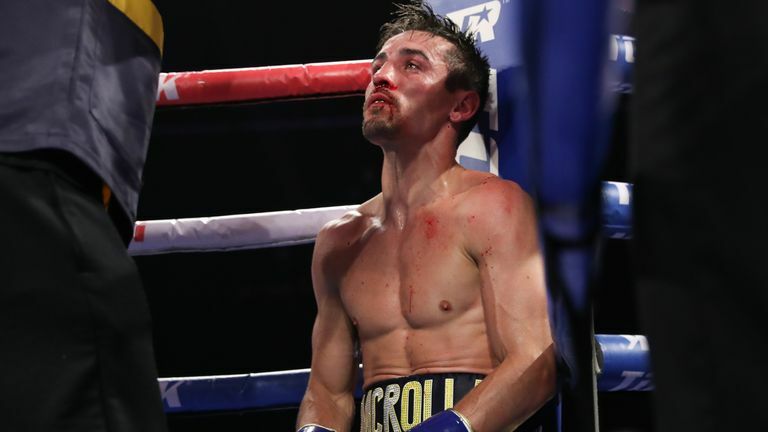 Crolla had vowed to 'shock the world' but the mandatory challenger suffered a crushing knockout at the Staples Center in Los Angeles in the early hours of Saturday morning. Thank you to my doctor for fixing my shoulder so I can come back 100 per cent. Thanks to all my fans who came to the Staples Center to watch this beautiful boxing. I want Mikey Garcia next! A cagey opener saw Lomachenko take centre of the ring and use his excellent footwork to move in and out of range. The three-weight great stepped up the pace in the second behind his southpaw jab and cornered Crolla before landing left hands to the head and body. After catching the Mancunian with a heavy straight left and an uppercut in the third, Lomachenko pinned his man to the ropes and unleashed a flurry of unanswered punches, prompting referee Jack Reiss to intervene. The champion started to celebrate and security entered the ring only for Reiss to began counting before the bell sounded the end of the round. 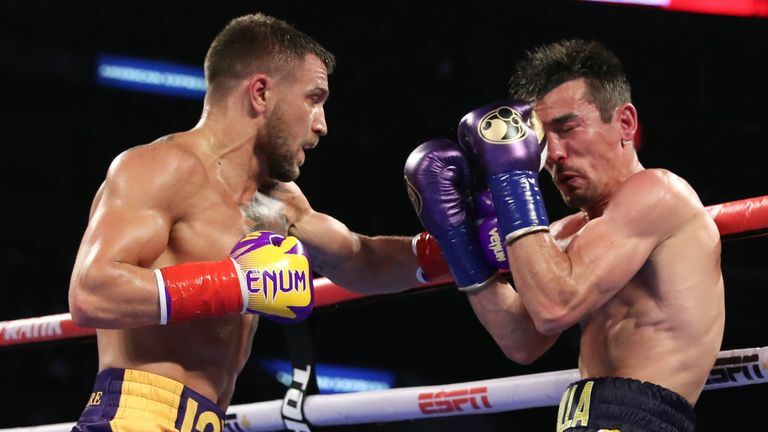 Lomachenko resumed his attack in the fourth and caught Crolla with a heavy right hook to the temple, sending the 32-year-old crashing face first to the canvas. Reiss began counting again but quickly abandoned the idea and after being checked over by the doctor, Crolla eventually made it unsteadily back to his feet.